The late general and the Pentagon have never conceded that chemicals unleashed during the Gulf War did damage to U.S. military personnel, despite mounting evidence, writes Jamie Reno. The nation is mourning the loss of retired Gen. H. Norman Schwarzkopf, who died Thursday at age 78. But in its mostly fawning coverage this week of the man dubbed Stormin’ Norman for his ferocious temper, the press is overlooking a lot. But some Gulf War veterans and veteran advocates interviewed for this story assign an altogether different narrative to Schwarzkopf’s life and legacy. No one disputes the general’s military prowess, but these veterans say the question people should really be asking now is: will his passing reignite interest in why so many Gulf War veterans remain untreated? “Why do none of the obituaries of Schwarzkopf mention that there are still 250,000 Gulf War veterans who still urgently need treatment?” asks Paul Sullivan, a Gulf War Army scout and longtime veterans advocate who now works at Bergmann & Moore, a law firm that represents veteran disability cases. There is some cruel irony to Schwarzkopf’s passing just days after the release of two new peer-reviewed scientific studies that confirm that Gulf War Illness, also referred to as Gulf War Syndrome, is related, in part, to chemical warfare agents released into the atmosphere by U.S. bombings at the start of the air war against Iraq in January 1991. The Pentagon has repeatedly insisted that most of the ailments suffered by Gulf War veterans, which include acute and chronic muscle pain, fatigue, diarrhea, rashes, cognitive problems, and more, are the results of stress and several other factors, but not exposure to toxic chemicals. 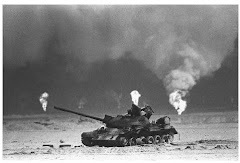 The New York Times also reported that the CIA possessed dozens of classified documents showing that tens of thousands of Gulf War soldiers may have been exposed to chemical weapons during the 1991 war. Veterans advocates at the time asked for a special prosecutor to investigate the misplacement, concealment, or destruction of Gulf War military logs showing that soldiers were exposed to chemical warfare. Sullivan, who was one of the first veterans to discover that these logs showing that soldiers were exposed to chemicals were missing, as well as advocates such as Charles Sheehan-Miles and Patrick Eddington, now a Capitol Hill staffer, have been shining a light on this issue for years. Producers at 60 Minutes used information first obtained by these advocates in their March 12, 1995, broadcast on Gulf War Illness and chemical weapons. Despite all this, Schwarzkopf somehow managed to stay above the fray. He remains a war hero in the eyes of most Americans. But, says Sullivan, not to many of the Gulf War veterans who are still suffering from an illness that the government has tried to deny exists for two decades. While Schwarzkopf publicly called for the caring for our sick Gulf War veterans, some veteran advocates insist his lack of action, and the fact that most of his logs showing veterans were exposed to chemical weapons were lost or destroyed, speak louder than his words. 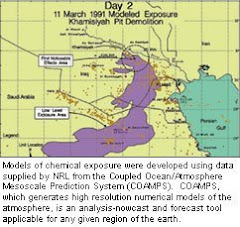 The first study confirms what many veterans already believed: weather patterns carried a massive toxic chemical cloud resulting from the U.S. bombing of Iraqi chemical weapon storage facilities a long distance before these chemicals ultimately fell on U.S. troops. This is being dubbed by some as the largest example of “friendly fire” in American history, because the so-called nerve and blister agents that dropped on American troops were supplied to Iraq by the U.S. before the Gulf War. These chemicals were then bombed by U.S. forces, which lifted them into the atmosphere and dropped on our troops. The second study confirms that Gulf War Illness reports were higher at the places where the chemicals fell. “Our peer-reviewed scientific findings bring us full circle by confirming what most soldiers believed when they heard the nerve gas alarms. The alarms were caused by sarin fallout from our bombing of Iraqi weapons sites,” James J. Tuite, who led the first study, said in a statement two weeks ago. But neither the national press nor President Obama appear too eager this week to point out Schwarzkopf’s unfinished legacy. Jamie Reno, an award-winning correspondent for Newsweek for 17 years, has also written for The New York Times, Sports Illustrated, Rolling Stone,People, Men’s Journal, ESPN, Los Angeles Times, TV Guide, MSNBC,Newsmax, Entertainment Weekly, and USA Today. Reno, who’s won more than 85 writing awards, was the lead reporter on a Newsweek series on the 9/11 terrorist attacks that earned him and his colleagues the National Magazine Award for General Excellence, the highest award in magazine journalism. Reno, who’s also an acclaimed author, singer-songwriter, and 15-year cancer survivor, lives in San Diego with his wife, Gabriela, and their daughter, Mandy.